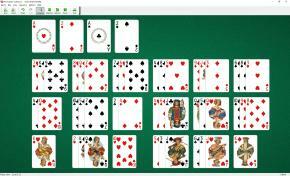 Troika Solitaire uses 52 cards. 17 tableau piles (three cards in each) are placed on the board. The last card is placed alone. It will be the 18th incomplete pile. All aces from these piles are moved to the foundations. So you will have some incomplete tableaus on the board. Only the top card of each pile is available to play. You can move a single card from pile to pile if the target pile contains less than 3 cards and its top card has the same rank. If you move all the cards from a pile it cannot be resumed. Wins are rather rare. 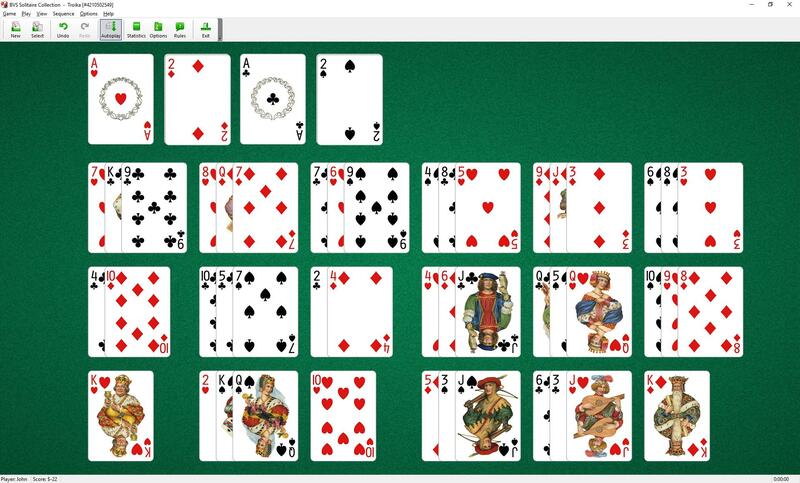 If you do not have any kings as bottom cards in tableaus than you won't win.